Being a vampire isn’t at all what I imagined. After falling victim to the embrace I awoke with all knowledge of who I had been in my past life. In my previous life I was Dr. Jonathan Reid and my area of medical study was both in hematology (the study of blood) and trauma surgery. I was a risk taker and had achieved renown and contempt for my tactics in transfusion. This all assisted me in getting a job at the Pembroke Hospital, a London-based institution that has a reputation similar to my own, and attempt to help the people there. That’s right, I’m helping humans get medical attention and curing what ails them. It is the year 1918 and the city is plagued by the aftermath of the Great War, which still wages on, and the Spanish Flu is taking more lives every day with increased effectiveness. On top of all of this monsters roam about the streets at night, and not just vampires either. In these times the relationships you establish are key, the politics of both the human and vampire world are always a consideration, and it’s fair to say something apocalyptic may be afoot. This is Vampyr. The newest game from studio Dontnod, known previously for Remember Me and Life is Strange, is going all in on the skills it has developed for in the past and combining them into an open world action RPG that leverages story to propel things forward. 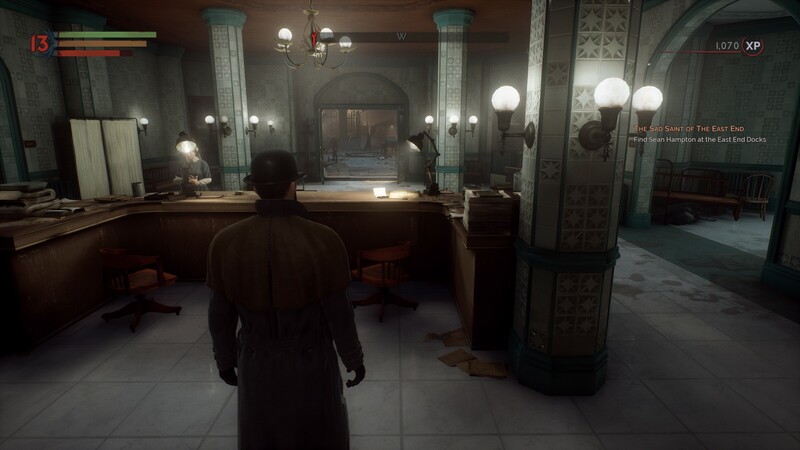 Whereas quest givers and NPCs can be seen as somewhat throwaway or in the least dismissed after their vignettes, no one in Vampyr is forgotten after you meet them unless you will it so. 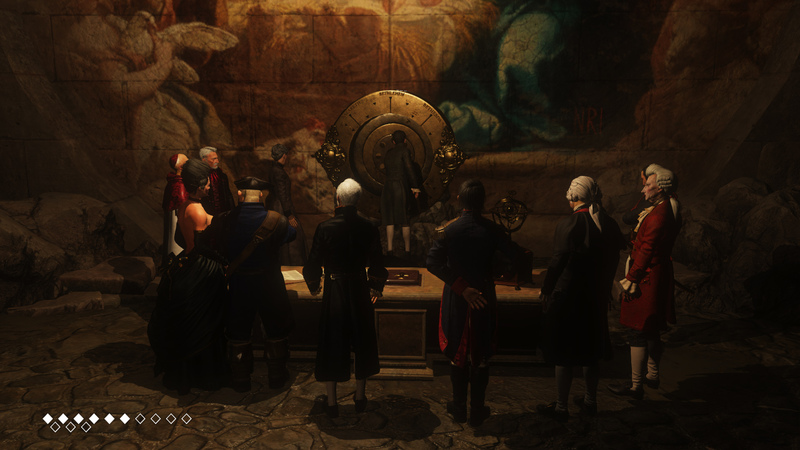 The beginning of the game will introduce you to nearly a dozen characters, each with their own story, background, thoughts, opinions, and connections to other characters. Getting to know everyone is an arduous task that will surely make up the first two to three hours of your game, but fortunately all of the pertinent details you receive are kept organized and available to you in your notebook. Unlike other vampire tales, every person you meet is key to the continuation of your story and will assist you at getting to your next goals, just not necessarily the way you might expect. Along the way you will open up more districts to the point that your cast is roughly 40 characters that you should consistently manage the health, relationships, and well being should you need them in the future. And trust me, you may need them in the future. There is an undeniable attraction to Seasons After Fall. In what I can best describe as a painting come to life, the striking graphical style draws your attention and the playful orchestral soundtrack keeps you interested. 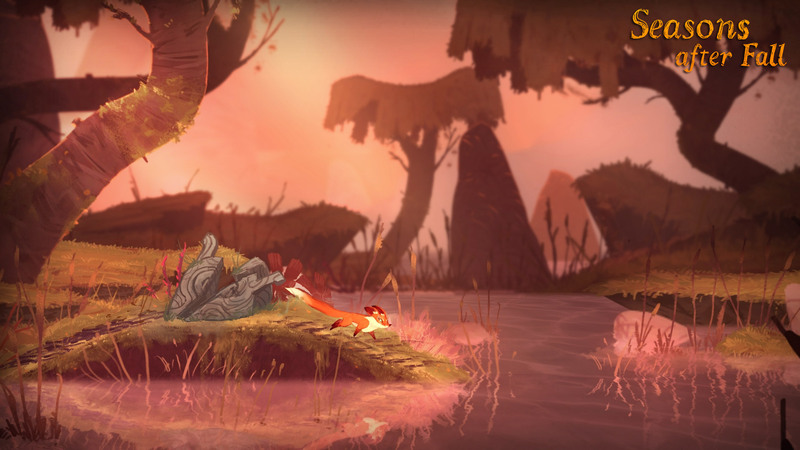 The game presents a simple premise: a fox, a forest, and magic. 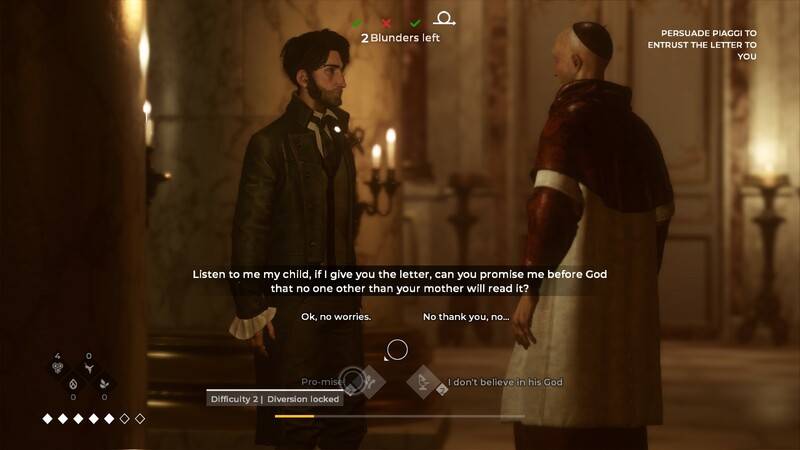 It’s a compelling argument, even before the first true moments of gameplay. Things aren’t always as they seem with this title, however, as it doesn’t quite play as good as it looks. Your tolerance to design quirks aside, the value of this title lands solely on the premise that it delivers on what I think games should do: take you to another world. 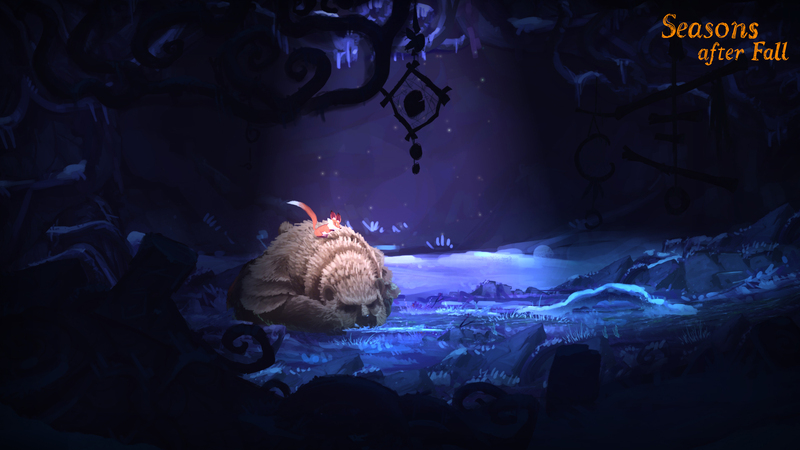 Seasons After Fall originally premiered on PC last fall during a time that seemed more riddled with open exploration puzzle platformers – I refuse to refer to this title as a “MetroidVania” – including Ori and the Blind Forest and Unravel. Despite looking similar to these other titles, they are very distinct from one another, but somehow always seemed to be lumped together. Seasons After Fall now comes to consoles in a direct port, but it’s successfully separated from these familiar looking games. It’s a true puzzle platformer, best proven by the lack of combat in the game. Yes, there’s absolutely no fighting, attacking, running from enemies, no enemies at all, and no boss battles. Nope, this title is as a pacifist as they come. There’s also no penalty for dying, if you can even call it that since falling into the rare pit results in you simply being brought back to the ledge you jumped off. Despite these facts, don’t write off Seasons After Fall as a mindless stroll in the woods, because the challenge is in solving the puzzles and as the game progresses there’s a decent incline in difficulty. It’s at this point you’ll either like how this title attempts to challenge you or hate it. I might even say it’s impossible to describe your time with Seasons After Fall without mentioning at least a few moments where you are utterly stuck with no idea what to do. 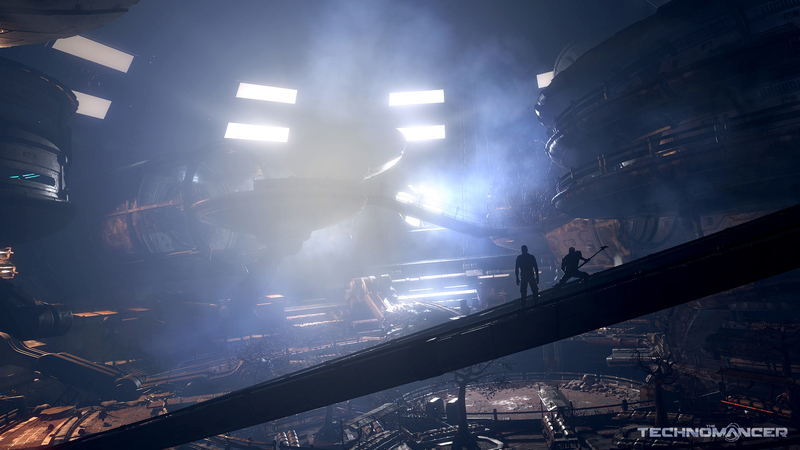 Fred runs through some of the opening areas of The Surge and answering questions in the chat. Developed by Deck13, The Surge combines the concept of loot drops, builds, and high difficulty action RPGs in a cyberpunk setting. The Technomancer reminds me of one of those relationships before I got married. It’s dynamic and I enjoyed it, but ultimately I got to this point where I knew our time would have to end. Much like those relationships, it probably lasted a bit longer than it should have, but that doesn’t mean that it was a waste of time. Far from it. 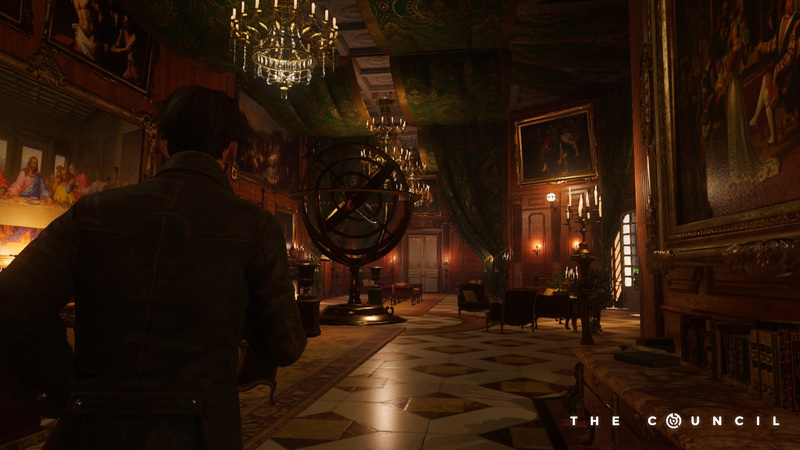 Regardless of your opinion of nitpicks like whether or not the faces compete with modern powerhouse franchises or exactly what genre it should be labeled as, The Technomancer is offering a throwback to the complete package of RPG we saw often last generation. That wouldn’t have made it stand out were it not for the fact that a title like this is somewhat rare these days. Sure, everything is going open world, but releases of RPGs that heavily integrate decision and story are somewhat scarce and especially if you’re looking for sci-fi or cyberpunk. So despite its flaws and not necessarily being able to keep up with its more established peers, The Technomancer is a worthwhile experience. I’m guessing not many played developer Spiders’ first title Mars: War Logs, which you may be surprised to know is now available on PC and even Xbox One thanks to 360 backward compatibility (also on PS3). It really is the early version of what would eventually become this title and established the lore of human colonization on Mars and the core of what the technomancers are. That title was short, the combat was harshly integrated (especially for gamepads), and while I liked what it was doing I couldn’t get too invested. Having played Mars: War Logs did allow me to appreciate how far Spiders has come in its sophomore effort on the concept, but it’s in no way necessary as a buffer for this title. Newcomers and veterans alike will be introduced to Zachariah, a graduating technomancer that is coming to terms with his newfound powers and prepared to utilize them in an effort to keep the peace and eventually find a way back to Earth. He’s not unique, many technomancers work for Abundance, a mega-corp that provides security on Mars and all technomancers are to guard the order’s secrets in an attempt to discover a way back home to Earth. Beyond that you are free to hit the ground running in an open-world chock full of icons that represent main and side quests. Along the way you will inevitably face combat, both in and out of hub locations, where your action fighting skills will be tested from start to finish. I’ll return to the combat in a minute, but it’s important to note that the separation between non-combat zones and combat zones is blurred here, which I don’t often see in the modern world of RPGs that includes MMOs. It may not be much of a change, but it struck me as somewhat unique.